Chris Ramsey is a critically acclaimed Stand Up Comedian and regular face on TV. He has hosted two series of his own show The Chris Ramsey Show on Comedy Central as well as Chris Ramsey’s Stand Up Central and the panel show Virtually Famous on E4. He is a regular face on Celebrity Juice on ITV2 and played the lead role in BBC2 sitcom Hebburn. He has performed on The Royal Variety Performance, Live At The Apollo and hosted his own episodes of Live From The Comedy Store on Comedy Central. He was nominated for the Edinburgh Comedy Award for Best show in 2011 and has since sold out numerous massive UK tours. 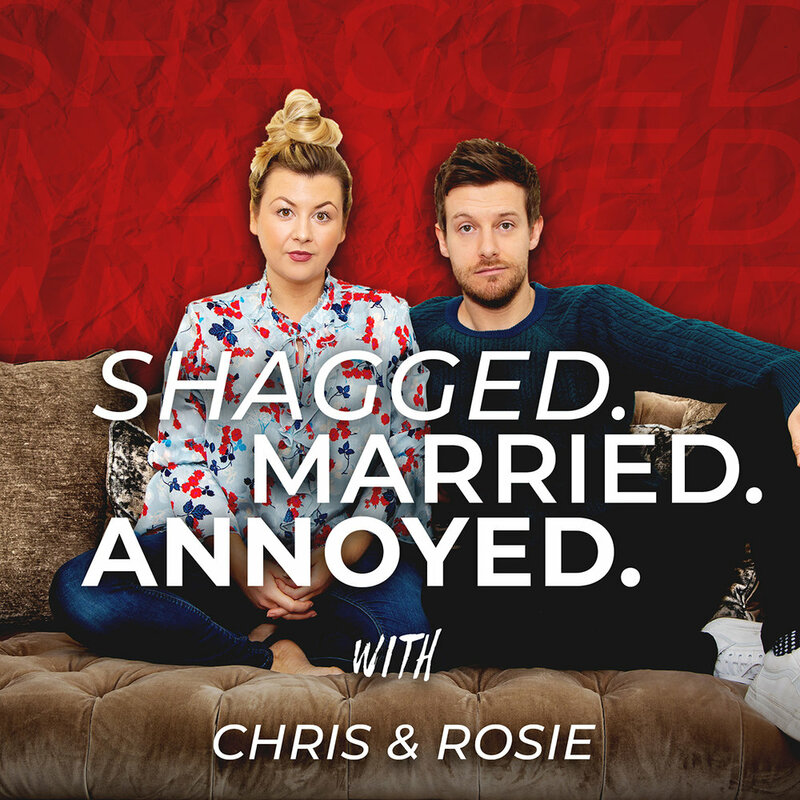 He recently filmed a stand up special of his sell out 2018 tour ’The Just Happy to Get Out of The House Tour’ at Newcastle Arena… but he IS writing all of his in the third person… so he’s also clearly a bit of a d**k.
Chris is currently co-hosting the Shagged, Married, Annoyed Podcast with his wife Rosie Ramsey. The only way Rosie and Chris Ramsey can have a conversation without being interrupted by a toddler or ending up staring at their phones is by doing a podcast. They’ll be chatting all about life, relationships, arguments, annoyances, parenting, growing up and everything in between. Each week they will answer questions from the public and a secret celebrity.